Bernice Elaine Brooks was born on May 19, 1921, in Willmar, MN, the daughter of William E. and Mabel (Gatewood) Brooks. She graduated from Belgrade High School in 1939. On March 4, 1941, she was united in marriage to John W. Jacobs in Belgrade. Bernice and John owned and operated the Junior Lunch restaurant in downtown Willmar for nine years. Bernice was also employed at the State Hospital in Willmar as a food supervisor for a number of years. Bernice was a busy homemaker all her life. She was known for her wonderful bread making, as well as cinnamon and caramel rolls, pies, etc. In their retirement years, Bernice and John designed and constructed a rock garden, with a flowing stream running through it. She spent many hours on her knees; planting, weeding and praying. Bernice loved the Lord and her family, and she was a wonderful example of a Godly servant. She especially loved spending time with her grandchildren (19), and her great grandchildren (44). Another one of her loves were the family dogs. 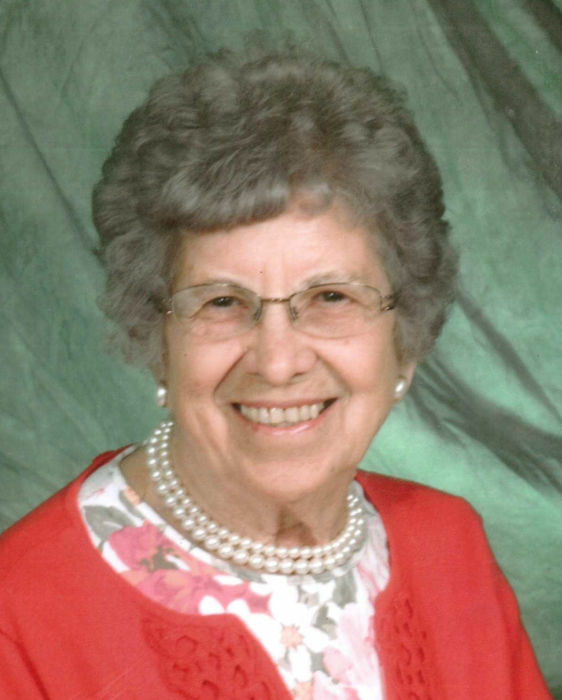 Bernice passed away March 24, 2019, at her home of 54 years in rural Willmar, at the age of 97. Surviving are her children: Dennis Jacobs of New London, Jim (Betty) Jacobs of Aitkin, Jack (Gina) Jacobs of Shoreview, Rick Jacobs of Cloquet, Lois (Larry) Lohn of Willmar and Lori (Jef) Sandahl of Corcoran; 19 grandchildren, 44 great grandchildren and other relatives. She was preceded in death by her husband, John, parents, three brothers and three sisters.